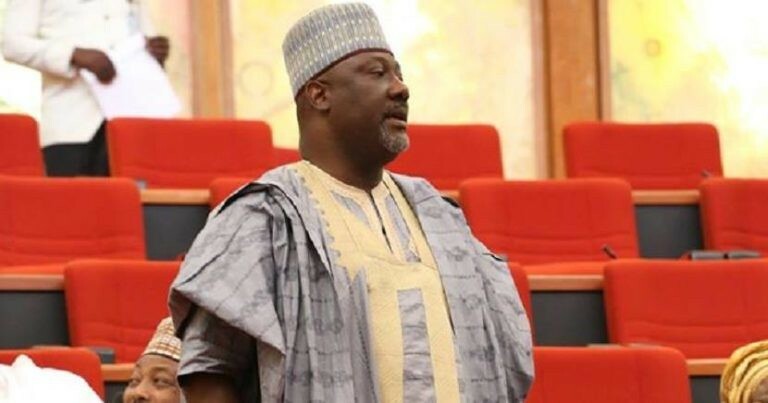 Embattled Senator Dino Melaye has defected to PDP. He announced his defection during plenary this morning May 30th. Dino who was hospitalized after his faceoff with the police last month, appeared on the floor of the senate in a white attire and a bandage wrapped around his neck. In April, Melaye was arrested after presenting himself to the police to answer questions on allegations of sponsoring a criminal gang.